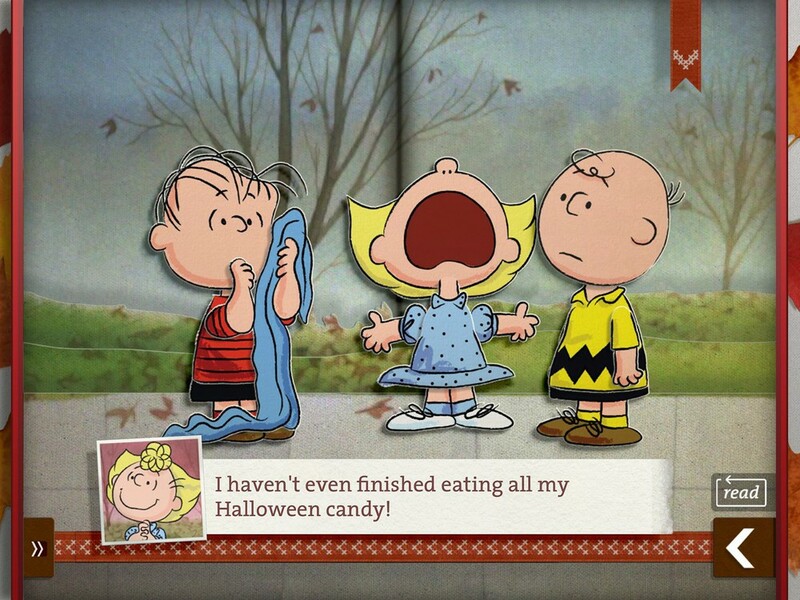 Title Screen for A Charlie Brown Thanksgiving. 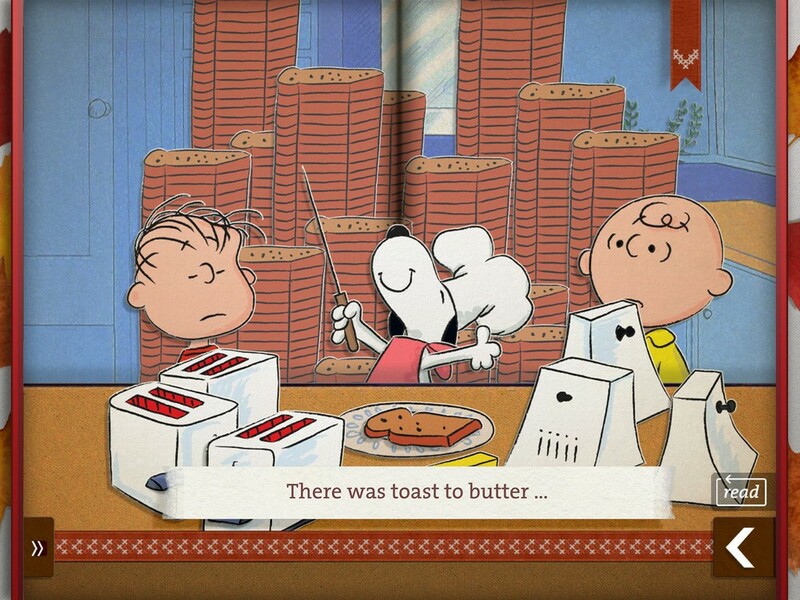 A Charlie Brown Thanksgiving is an adaptation of the original 1973 TV special into an interactive children’s book for iOS and Android. As the lead designer and art director I storyboarded the project, designed the look, feel and interactions for the book, and did a whack of the animation and production. One of the goals of the project was to make each spread of the book feel like a living illustration. We wanted to appeal to early readers by creating a experience that was as tactile and toy-like as possible, and rewarded and responded to every touch, similar to a pop-up book. The result was a warm, nostalgic, highly skeuomorphic design. The characters were redrawn and reconstructed as puppets with rag-doll physics, while the scenes themselves were layered to create elaborate tilting and parallax effects. This app was an featured in the Apple iTunes store and won a Parent's Choice Recommendation.